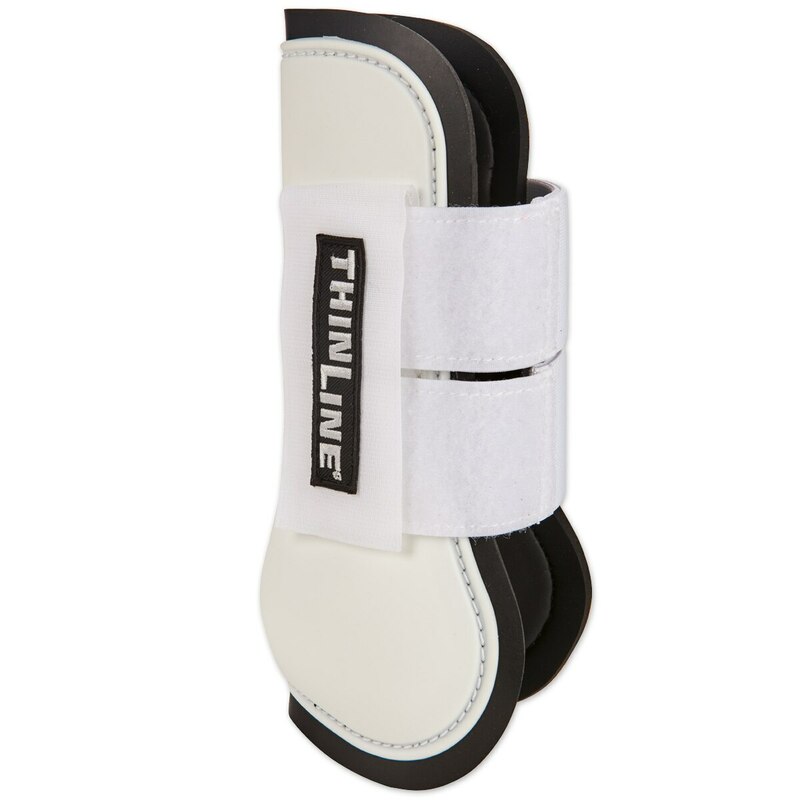 The only hard shell boot lined with ThinLine protection. 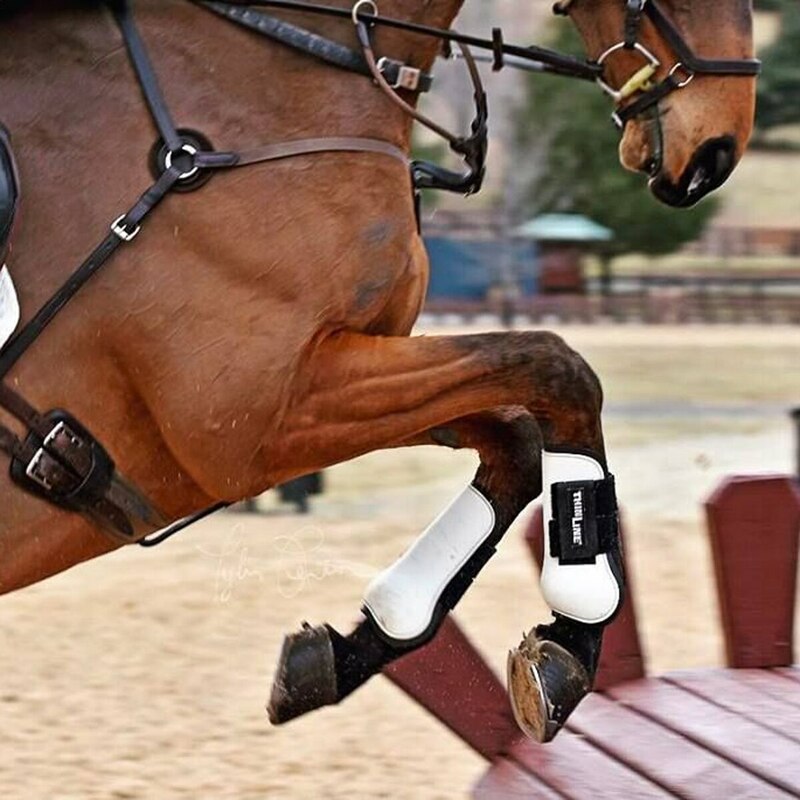 The pliable, yet firm plastic shell protects tendons from impact, while the ThinLine lining disperses shock and promotes healthy conditions for the horses’ legs. 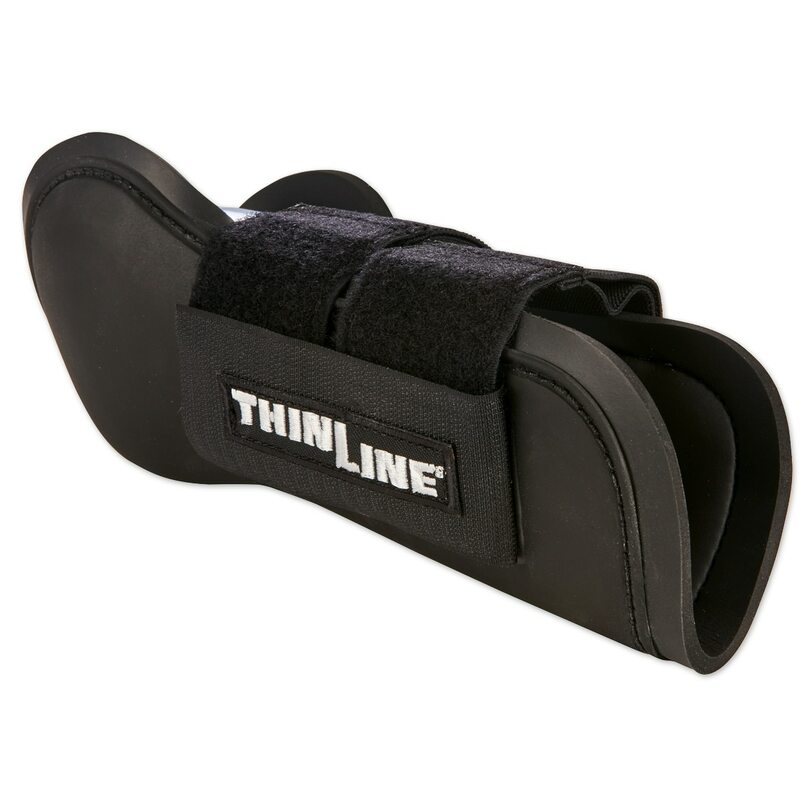 The molding ability of the lining allows this boot to fit a variety of horses while still providing a tight, custom fit. These boots are infused with USDA approved anti-fungal agents to prevent spreading skin diseases. 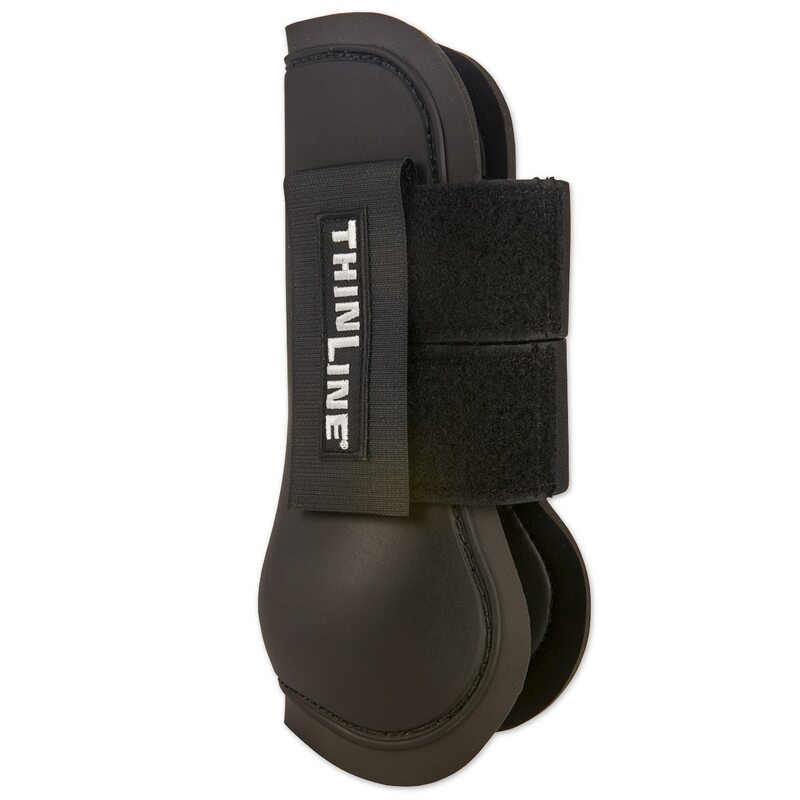 Thinline Open Front Schooling Boot is rated 5.0 out of 5 by 2. Rated 5 out of 5 by NanE from Super easy to clean and no rainrot! 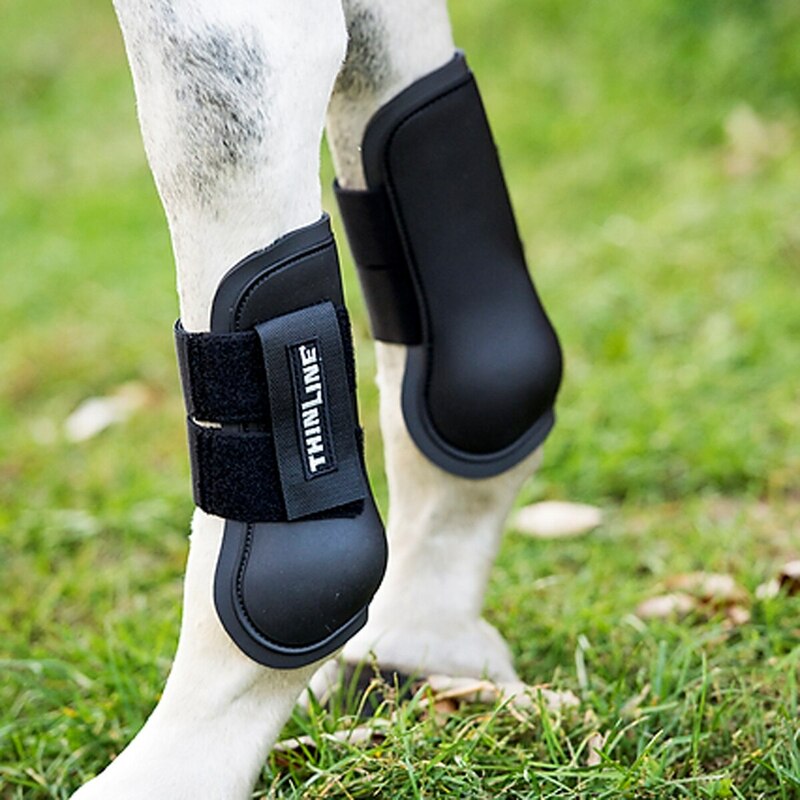 My horse has had recurring issues with rainrot on her legs, and when switching boots the issue would just relocate to wherever the boots were touching her. Not with these! 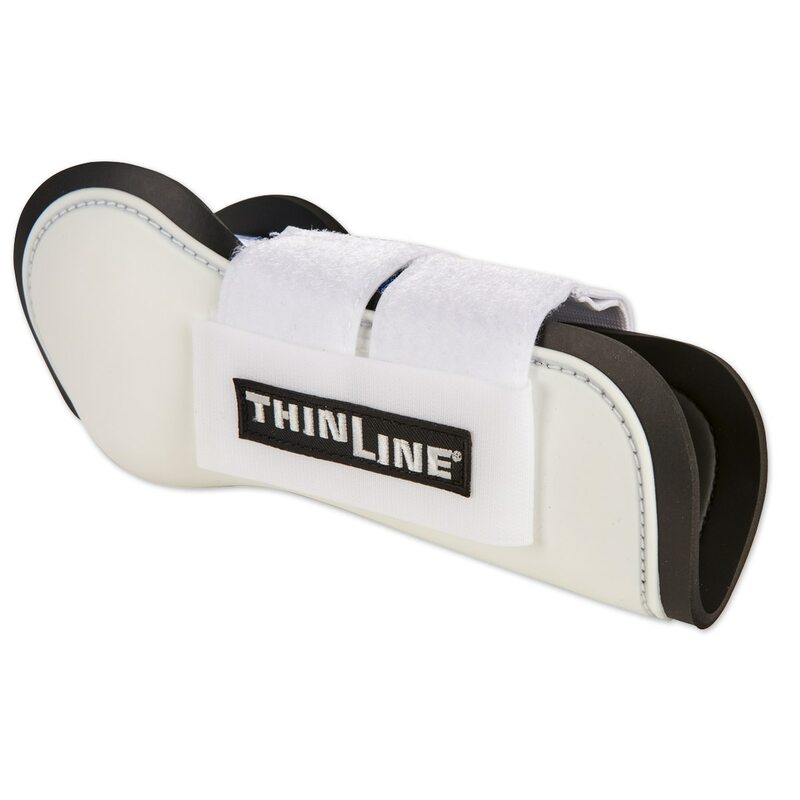 Not sure if she had developed an actual neoprene allergy or if those materials were just too hard to keep clean, but either way the Thinline has been a great solution! Rated 5 out of 5 by AHiggs1534 from Excellent for any type of riding! I have some of these at my barn and they are AMAZING!! !